Galway landowners are being asked to look at the potential of their scenic lands being used to generate revenue in a new accommodation venture, which will contribute to generating €31m in tourism revenue to the UK and Ireland by 2023. Launched in November 2018, further.space is a new and innovative company set up to co-ordinate the provision and installation of design-led pods as tourist accommodation in unique and unexpected locations. The start-up firm aims to establish up to 100 micro tourism business partnerships throughout the UK and Ireland and has already secured its first contracted partnerships. Its target is to deploy 500 pods in hand-picked locations over the next five years, including 200 in Ireland, with landowners seeking to maximise the potential of their land through tourism. further.space is urging landowners committed to exploring tourism diversification opportunities to register their interest. CEO of further.space, and former founder of Habitat for Humanity Northern Ireland, Peter Farquharson said the island of Ireland attracts 12 million tourists annually; that equates to 72 million overnight stays. 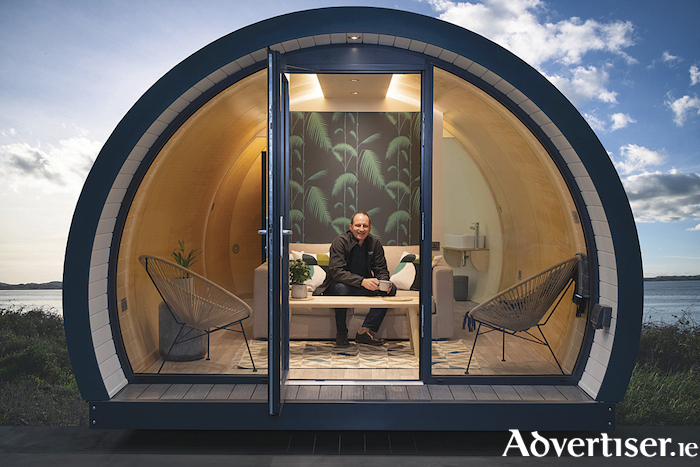 The demand for alternative accommodation options is growing with 37 per cent of tourists recorded as preferring non-traditional accommodation solutions including pod based ‘glamping’ experiences in unique locations. Each further.space pod is forecast to deliver a minimum annual revenue of €20,700 per year. A partnership with four pods on site will generate an annual revenue of €82,800 per year and €828,000 over ten years. COO of further.space, and energy efficient housing entrepreneur, David Maxwell, said that their research shows that while many landowners are attracted by the opportunity to diversify into tourism, they are also hindered by financial and logistical issues. Landowners interested in exploring viable tourism diversification should visit https://further.space/and complete an online enquiry form to register their interest.